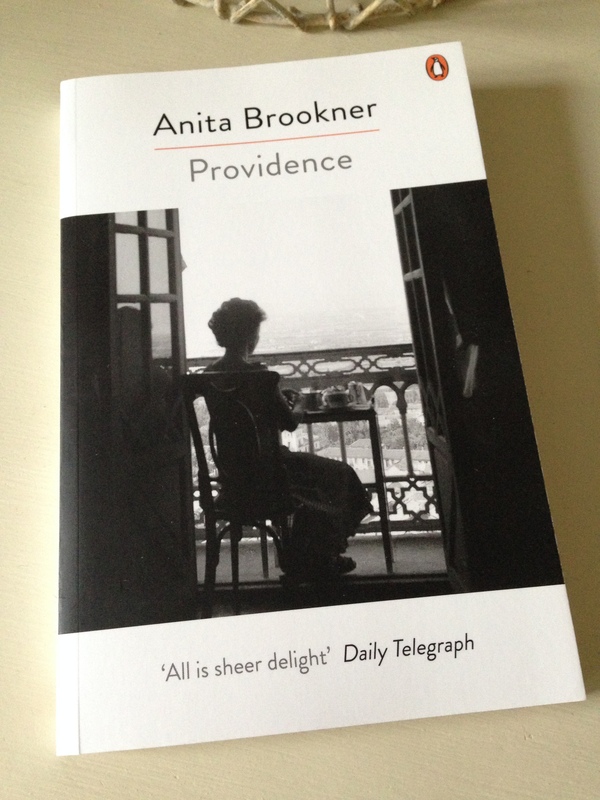 Back in September last year, I read an early Anita Brookner, Providence (1982), a novel I loved for its central characterisation and sensitive portrayal of life’s disappointments both large and small. By rights, I should have begun with her debut novel, A Start in Life (1981), but it wasn’t available at the time – hence the decision to go with Providence instead. Having just finished A Start in Life, I would have no hesitation in recommending it as an excellent introduction to Brookner’s style and themes. In some ways, it is a richer novel than Providence, more rounded and fleshed out. I hope to find a place for it in my end-of-year highlights. As A Start in Life opens, Ruth Weiss, a forty-year-old academic and expert on the women in Balzac’s novels, is looking back on her life, the striking opening lines setting the tone for the story that follows. Dr Weiss, at forty, knew that her life had been ruined by literature. Interestingly, the balance between the relative merits of pursuing a path of virtue vs. one of vice is a central theme in the novel – more on this point a little later in the review. Winding back to Ruth’s childhood at the family home in West London, the picture is somewhat unconventional and chaotic. Ruth’s mother, Helen, a relatively successful actress (at least at first) is beautiful, spoilt, lazy and self-centred, a high-spirited woman who spares little thought for the future. By contrast, Ruth’s father, George, a dealer in rare books, devotes much of his time and energy to keeping his wife happy, enacting his role as Helen’s charming and attentive husband. Neither of them seems to have much time for Ruth whose care is largely entrusted to George’s mother, the elderly Mrs Weiss, who also shares the family home. Mrs Weiss is under no illusions about the rather feckless nature of her son’s wife. Moreover, she is concerned that Helen and George’s childlike behaviour and ‘facile love-play’ will damage Ruth in some way. As such, she does her best to maintain the household, looking out for the young girl wherever possible. Unfortunately for Ruth, the situation deteriorates when Mrs Weiss dies, a development that prompts Helen to ‘get a woman in’ to look after the house. The housekeeper in question is Mrs Cutler, ‘a wry, spry widow, quick to take offence’. Mrs Cutler is a wonderful gossipy creation, and there are some priceless scenes as she begins to insert herself into the lives of Helen and George, always mindful of how to play the situation to her full advantage. Ruth, for her part, is pretty much left to her own devices as the household rapidly goes to pot. As the years slip by, Helen starts to go downhill fairly dramatically. No longer in work, her looks begin to fade along with her previous zest for life, points that become abundantly clear to George when he catches Helen in one of her private moments. George, for his part, finds solace in the company of Sally Jacobs, the widow who buys his book business, as a growing dependency develops between the two. Meanwhile, Ruth begins to carve out a daily routine for herself. By now she is studying literature at one of the London Universities, living at home again after a brief and somewhat disastrous attempt to break away on her own in a room near the King’s Road – her dedicated attempt to woo an attractive fellow student, Richard, with a romantic dinner for two having ended in crushing disappointment. There are lectures in the morning, tutorials in the afternoon, library work in the evenings. In some ways, the relative safety/security of the University environment feels like more of a home to Ruth than her family residence in Oakwood Court. It’s a lonely existence, but it could be worse. Nevertheless, as Ruth reflects on her studies of Balzac, she begins to question whether there is more to life. Is the pursuit of a life of goodness and virtue the best path to the discovery of true love? Surely a little Balzacian opportunism wouldn’t go amiss for Ruth too? I’ll leave it there with the plot, save to say that Ruth never quite manages to break free from the demands of her parents as a mercy call from home cuts short her time in Paris. A Start in Life is a really terrific debut, beautifully written and brilliantly observed. The characterisation is superb – not just in the creation of Ruth, but the other leading players too. In many ways, the novel explores the classic Anita Brookner territory of fading hopes and dashed dreams as happiness and fulfilment remain somewhat out of reach. I strongly suspect there is a lot of Brookner herself in the character of Ruth Weiss, a rather fragile woman who seems destined to experience significant loneliness and disappointment in her life. In many respects, Ruth is constrained by the demands of those around her, frequently bending to the will of others to the detriment of her own desires. There appear to be some parallels between Ruth’s situation and that of Balzac’s heroine, Eugénie Grandet, so much so that I am sure a familiarity with Balzac’s work (and this book in particular) would bring another dimension to the experience of reading of A Start in Life. Before I finish, a few words on the novel’s tone. While Ruth’s story is shot through with a delicate sense of sadness, this is beautifully balanced by Brookner’s dry wit and keen eye for a humorous situation. (In this respect, I was reminded of some of Elizabeth Taylor’s novels, particularly The Soul of Kindness which I reviewed back in January.) There are some marvellous scenes involving Helen, George and their housekeeper Mrs Cutler, a woman who always seems to have a cigarette on the go. I’ll finish with a quote which I hope captures something of this tone. Mrs Cutler is imagining her future life running a care home with Leslie Dunlop, a man she has met through a dating agency. 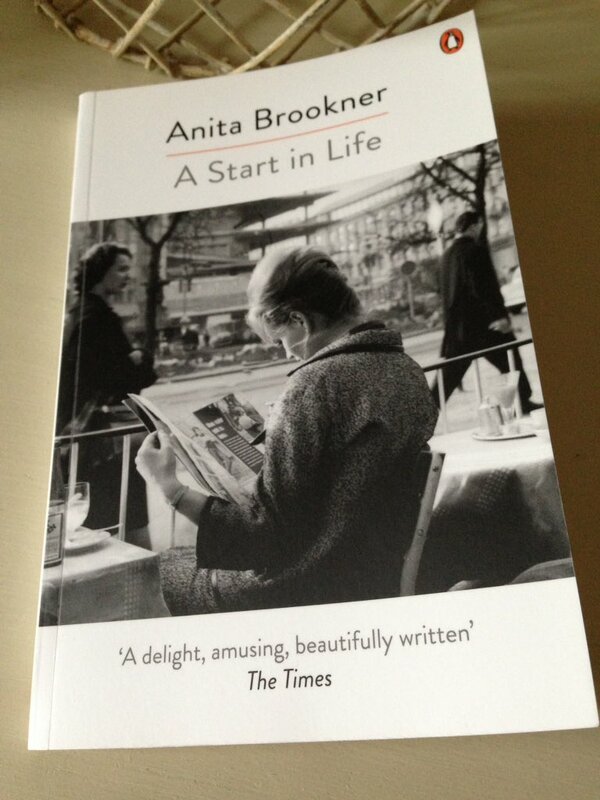 A Start in Life is published by Penguin Books; my thanks to the publishers for kindly providing a review copy. This entry was posted in Book Reviews, Brookner Anita and tagged #ReadWomen, Anita Brookner, Book Review, Classics Club, Elizabeth Taylor, Fiction, Penguin Books, UK on February 21, 2017 by JacquiWine. 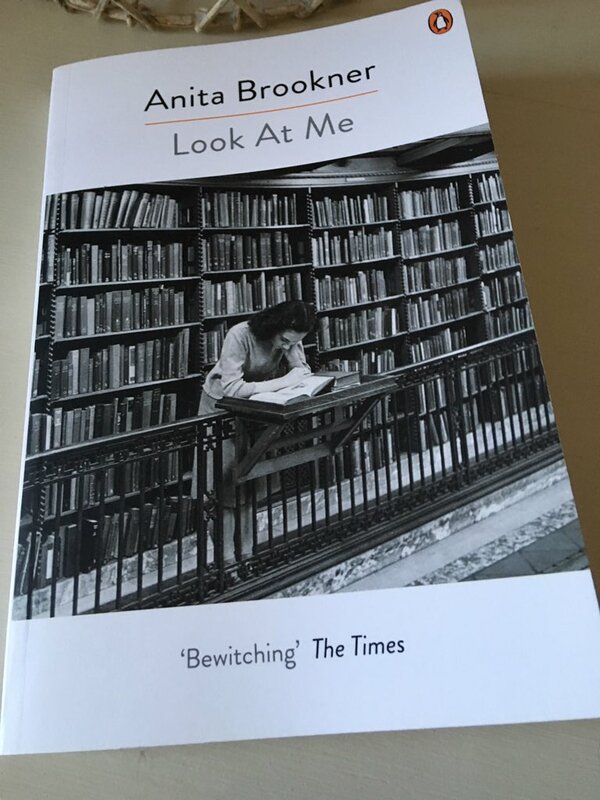 Anita Brooker is another of those writers I’ve been meaning to read or revisit for a while. I liked her Booker Prize-winning novel, Hotel du Lac, when I read it some thirty years ago, but I didn’t love it. That said, my tastes in literature have changed quite substantially since the days of my early twenties when I was young and carefree and too foolish to know any better. Now that I’ve come to appreciate the work of writers such as Elizabeth Taylor, Penelope Fitzgerald and Barbara Pym, I thought it would be a good time to try Brookner again, all the more so given her passing in March of this year. (Julian Barnes wrote a beautiful piece about her for The Guardian, which you can read here.) Anyway, to cut a long intro short, I really loved Providence (Brookner’s second novel, first published in 1982), so much so that I’d like a few more of her early books over the next year or two. I suspect there is a reasonable degree of Brookner herself in Kitty Maule, the central character in this short but subtle novel of life’s hopes, expectations and various misfortunes. Kitty, an intelligent, sensitive and presentable young woman in her thirties, lives on her own in a flat near Chelsea. By her own admission, Kitty is somewhat difficult to place, her father having died shortly before she was born, and her mother some three years ago. Fortunately for Kitty, she is not entirely alone in the world. Her French grandmother, the dressmaker Maman Louise, and her grandfather, Vadim, have lived in London ever since they moved to the city shortly after their marriage several decades earlier. Kitty works as a college tutor in literature, her key area of focus being literature in the Romantic Tradition. For some time she has been harbouring hopes of a budding romance with one of her colleagues, the rather passive and thoughtless Maurice Bishop, one of the key players in her department. Maurice, however, seems rather reluctant to commit. While he is happy to drop round to Kitty’s flat for the occasional dinner of an evening, Maurice demonstrates very little in the way of warmth or affection for her. In many ways, I thought him a rather selfish man in spite of a broken relationship in his past. It turns out that Maurice is still rather emotionally attached to Lucy, the childhood sweetheart whom he had hoped to marry. Alas, Lucy’s faith and calling in life intervened and so the marriage wasn’t to be. At least that’s what Maurice tells Kitty one evening when they are together in her flat. Kitty, for her part, cannot help but wish for something more in her life. She is tired of being admired for her sensible nature and professional expertise. In short, she wants to feel loved and cherished. In her yearning for Maurice, Kitty’s pursuit takes her on a somewhat fruitless trip to France, a period of waiting alone in a guest house while the love of her life takes in the cathedrals of the country. At home in London, she is persuaded to consult a clairvoyant in the hope of discovering some positive news about her potential future and related matters of the heart. Even though I’m still quite new to Brookner, I strongly suspect that Providence is highly representative of much of her work. It’s a quiet, beautifully observed novel about the disappointments in life, both large and small, the crumbling of those hopes and dreams that many of us hold dear. I felt a great death of empathy and sympathy for Kitty as her somewhat inevitable story played out across the pages of this book. In some ways, it reminded me of Elizabeth Taylor’s A Game of Hide and Seek in its precision and insight into the inner life of a woman whose life remains unfulfilled. The central characterisation is excellent, Kitty in particular. Moreover, there is much warmth and compassion in Brookner’s portrayal of the grandparents, Louise and Vadim. There’s a lovely scene in which Kitty takes the elderly couple out for the afternoon, a trip that warms their hearts. I loved this book and would recommend it as a suitable point of entry (or re-entry) into Brookner’s work. I’m hoping it will turn out to be a gateway novel for me. Providence is published by Penguin Books. My thanks to the publishers for kindly providing a review copy. This entry was posted in Book Reviews, Brookner Anita and tagged #ReadWomen, Anita Brookner, Book Review, Classics Club, Elizabeth Taylor, Fiction, Penguin Books, UK on October 18, 2016 by JacquiWine.